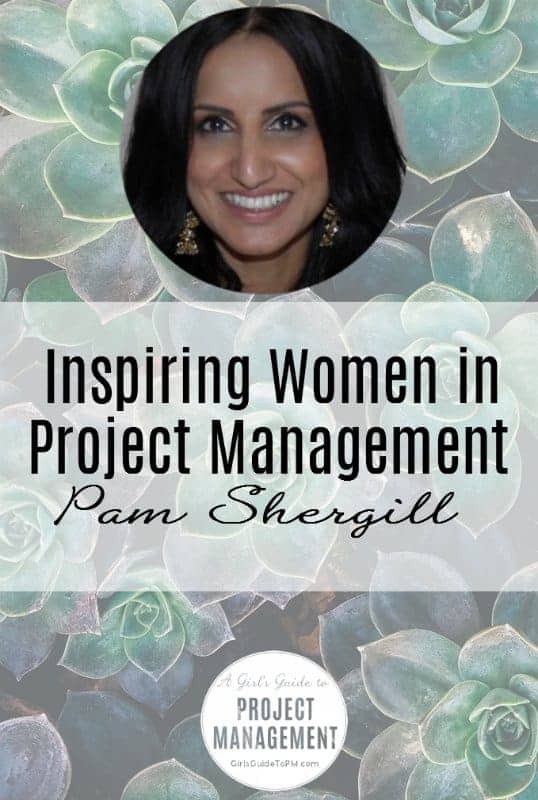 In this installation of the occasional series of Inspiring Women in Project Management, I’m interviewing Pam Shergill, Director of PS Management Consultancy. 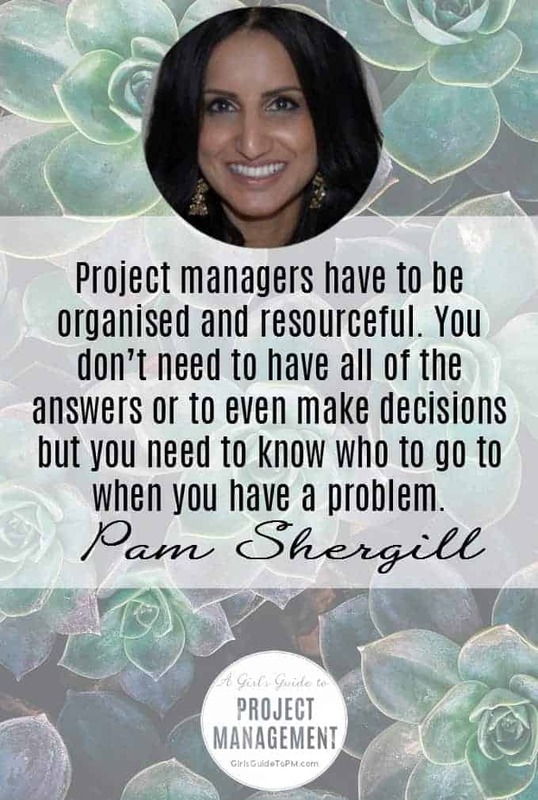 Pam and I talk about how she got into project management by ultimately making herself redundant, and how she manages to get two months off a year. Pam has amazing energy and is the kind of person who grabs every opportunity. I enjoyed finding out more about her journey and I’m sure you will too. Pam, how did you get started in project management? By accident! It happened in 2006 when I was working for a global conferencing and b2b communications company in London. I was responsible for setting up a new global Telesales team in the UK which made appointments for Sales Managers across the Europe. After several months, whilst the performance of the team was good and they were meeting or exceeding targets, it didn’t ultimately turn into revenue for the company. I closed down the operation and my boss offered me a job as a project manager based in Ireland. It was hard work travelling back and forth each week but I negotiated a beautiful apartment 10 minutes from the beach, a car, flights back and forth each week and a pay rise! On top of that I loved my job and my boss. That sounds like a great move. You’ve had an interesting career since then, so I’m guessing you didn’t regret shifting into project management. Project management is a rewarding career. You have to be organised and resourceful. You don’t need to have all of the answers or to even make decisions but you need to know who to go to when you have a problem. Quite often, it’s about thinking on your feet, evaluating all of the options and presenting them to your stakeholders. I have had positive feedback from my managers simply for being honest and flagging risks and issues. I never hide from them but try to bring options to resolve them. But you aren’t in Ireland now. So, what are you up to at the moment? Currently, I work for GlaxoSmithKlein (GSK) which is a global pharmaceuticals company. I really value what they stand for and the difference they make to the world. My job is twofold – I am a project manager and a PMO Manager. I have been a self-employed contractor for 6 years now and most of my assignments last 6 months, quite often these will get extended. That’s quite a change from a full-time employed role. I made a conscious decision earlier this year that I want to do a job that expands my skills or experience but doesn’t drive me to despair. Previous to this, I was working in companies where the culture was to work all hours and everyone just accepted that you do whatever it takes to get the job done. I had done this for so many years that I often forgot about work life balance. I would come home in a bad mood and that impacted me emotionally as well as physically. The two months off that I then took off every year were all about recuperation rather than enjoyment. I had to take a drop in pay at GSK but it was so worth it to have my sanity and it means I rarely have to take my work home. My boss and the company believe in a work life balance and that was made very clear in the interview process. Awesome. It’s so important but companies sometimes talk about it without actually doing it. How do you make your work/life balance work? I have lots of interests outside of work on top of a 4-hour daily commute so this is definitely a challenge. However, I believe that I can achieve everything I desire, it’s just a case of prioritisation. I always negotiate working from home 1-2 days a week in my contracts. This enables me to go to the gym 5 days a week. I try to go in the morning as it sets me up for the day and makes me feel really good about myself physically and mentally. I listen to spiritual podcasts and radio shows on the go or even just getting ready for work in the morning. I use every minute of my travel time – I complete my life coaching modules, prepare for coaching sessions and at the end of my commute I use the time to read an uplifting book of a spiritual /self-help nature. I’m very close to my family so I take regular time off work to spend time with them. I also take 2 months off each year to reflect on the year, rest and travel. Tell me more about the life coaching. You’re training to be a life coach, aren’t you? Is this a career change or will you be integrating it with project management? I see the two things as very separate but I think I could possibly add it as part of my business offering. I’ve yet to figure that part out exactly! My ambition is to do some work part time in project management but also work as a coach in business to earn money. I also want to do voluntary work in the community (particularly with young adults and women in suppressed cultures). I am passionate about helping people to realise their dreams and potential. Coaching is helping me to fulfil two dreams – making a difference to everyday lives/contributing to society in a positive way and, earning some money to help me to retire early! Well, that’s the plan anyway! That’s keeping you busy! What advice do you have for women in project management who want a similar career? I grew up in a culture that discouraged girls from even daring to dream so I never really thought about what I wanted to do. I started out in business studies as it was the done thing and then took basic jobs in offices. It wasn’t until my thirties and I got divorced that I thought to myself ‘There really must be more to work’. I started to then focus on what I enjoyed doing and what I could make a career of. Take time out each week to invest in your development. Be inspired! Think I can… rather than … if only! Quite often, women have challenges of managing a house, children and a fulltime job. Take time out each week and invest in your personal development. Read blogs and inspirational stories about other people in project management and be inspired! Think I can… rather than … if only! Set out a plan for what you want to achieve, write it down with clear actions and timelines of what you want to achieve and when. Set yourself small milestone tasks to get there. Invest time and energy with a coach or mentor to keep you on track. If you want something bad enough, and you are committed then it’s possible to fulfil your dreams. You can get ahold of Pam Shergill via her LinkedIn. Thanks for this post! Re-iterates my believes in life and how Pam has made changes in her life to get what she wants. Love the advice on writing your goals, break it down into actionable items and have the attitude of I can rather than if only! Love to read an inspiring story! Glad you found it inspirational! There are plenty of other great stories of inspiring women here too – just search ‘inspiring women’ and you’ll see all the interviews. Thanks for your lovely comments Shreya, much appreciated! A very good read Pam, thanks for sharing your experiences with everyone. Glad you decided to go ahead with the interview, after we discussed it. Mark, thanks for putting us in touch! Thanks for putting me in touch with Elizabeth and the GGTPM team.